Craft Central opens its doors from May 22nd to showcase Made in Clerkenwell: Summer Open Studios as part of Clerkenwell Design Week. There will be craft workshops, pot- and print-making, knitting and printing, as well as a chance to look in on and purchase from the designers in residence. 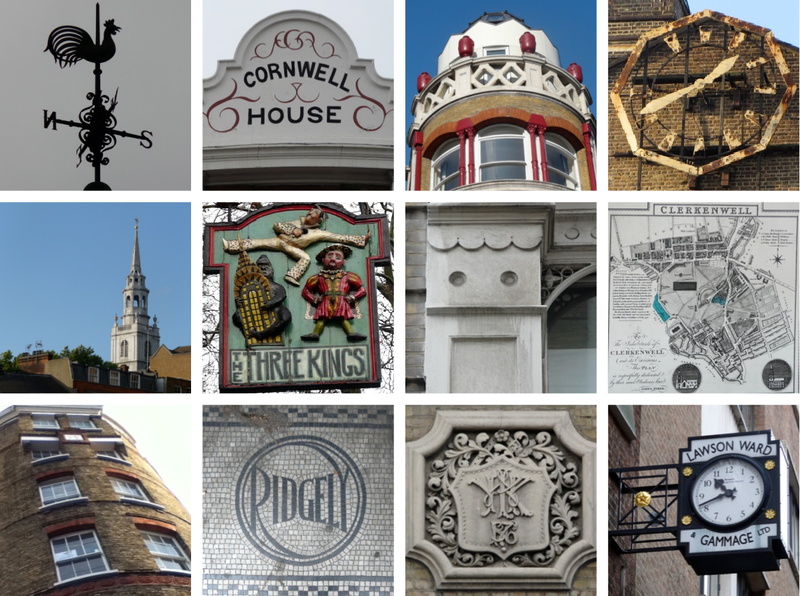 Plus, on Tuesday 22nd there's a chance to go on a Clerkenwell rooftop walk with historian and designer-maker Jane Young and hear about the area's rich and varied history. See here for more details of all the Craft Central events on offer. Above are some of the many little details that can be found in the vicinity. Craft Central's St John's Square building, is shown bottom left, with a frieze around it showing that it was originally a branch of the National Penny Bank.... more about that and other interesting Clerkenwell snippets here.